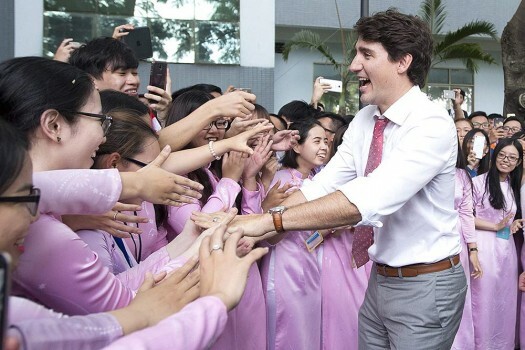 Canadian Prime Minister Justin Trudeau is greeted by students at the Ton Duc Thang University in Ho Chi Minh City, Vietnam. 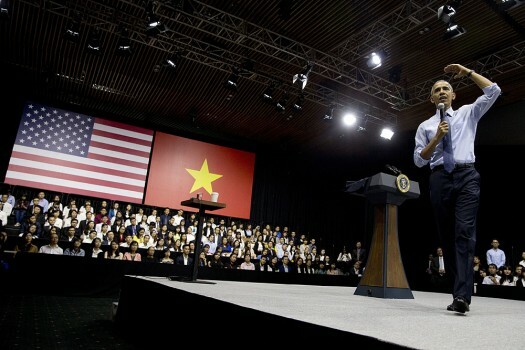 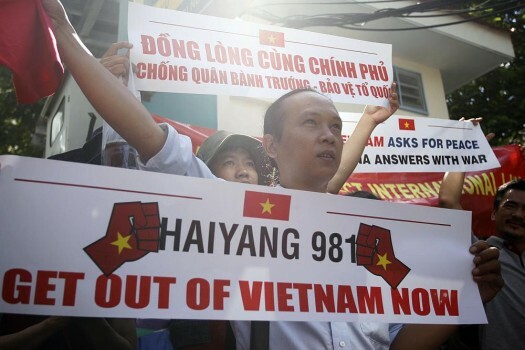 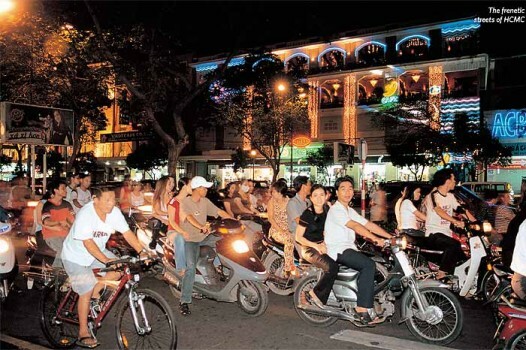 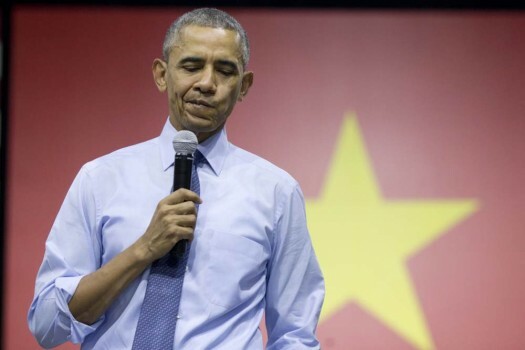 U.S. President Barack Obama speaks to Vietnamese young people during the Young Southeast Asian Leaders Initiative (YSEALI) town hall meeting at the GEM Center in Ho Chi Minh City. 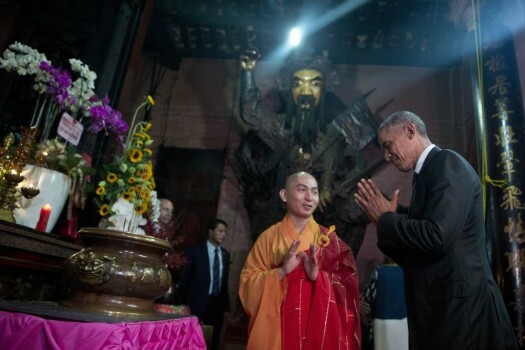 U.S. President Barack Obama bows as he visits the Jade Emperor Pagoda with Thich Minh Thong, abbot of the Jade Emperor Pagoda, in Ho Chi Minh City, Vietnam.